US Secretary of State expresses support for Israel’s right to defend itself after the rocket fire on Tel Aviv. 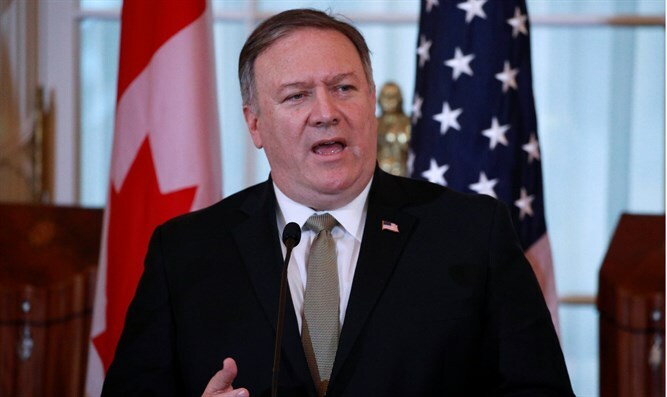 US Secretary of State Mike Pompeo on Friday expressed support for Israel’s right to defend itself after the rocket fire on Tel Aviv. “Once again, Israeli citizens are under attack from terrorists in Gaza, armed and financed by their puppet masters in Tehran,” he tweeted. “We stand by our ally. Israel has the right to protect its citizens,” added Pompeo. The IDF retaliated for the rocket attacks on central Israel by attacking approximately 100 military targets belonging to the Hamas terror organization in the Gaza Strip. While Hamas and the Islamic Jihad both denied being responsible for the attack on central Israel, the IDF Spokesperson’s Unit confirmed overnight Thursday that Hamas was behind the rocket fire. On Thursday, US Senator Ted Cruz (R-TX) condemned the rocket fire from the Hamas-controlled Gaza Strip toward Gush Dan.